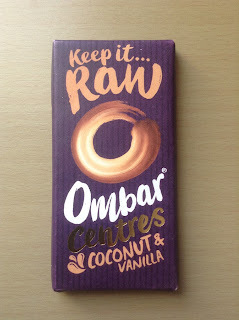 I was recently sent a few chocolate bars from Ombar to review, which made me very happy indeed - I am currently avoiding dairy and trying to cut back on sugar a bit (let's see how long that lasts! ), so these really made my day when I got them in the post. They're completely vegan, dairy free and gluten free and made with organic raw cacao. 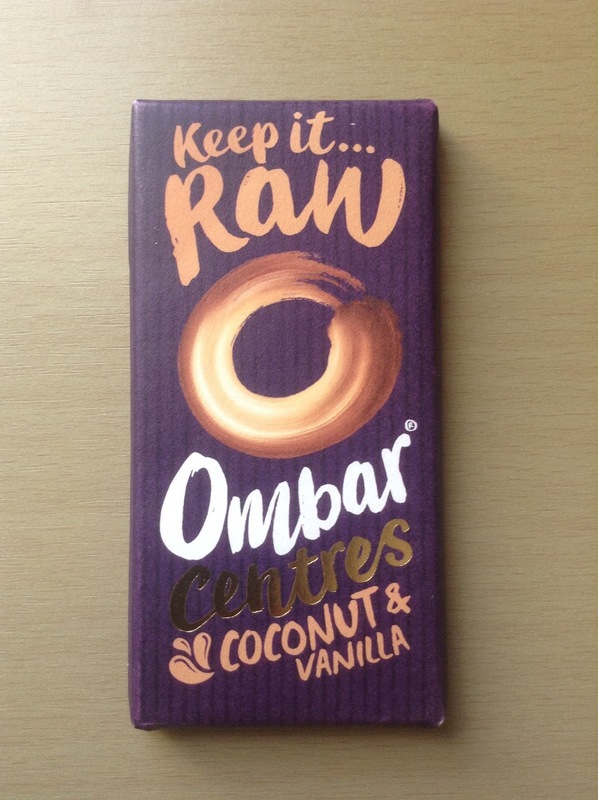 This particular bar contains a truffle filling of creamy coconut flavoured with vanilla. 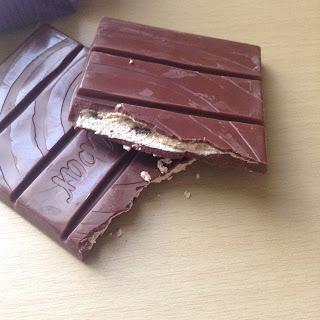 The filling looks somewhat like the centre of a Lindt Creamy bar, and it tastes de-licious! It's extremely rich, and melts in the mouth perfectly giving an indulgent taste experience. The chocolate is rich and earthy tasting - you can definitely tell it's made with raw cacao, and it contrasts nicely with the creamy centre. If you're dairy free or vegan, these are bars you will want to stock up on and eat all to yourself. They're so rich and satisfying that a little goes a long way, I do wish they came in larger bars though. I couldn't help but want more after eating this - old habits die hard I guess! Ingredients: Creamed coconut, coconut sugar, raw cacao, coconut oil, cocoa butter, vanilla extract. Nutrition per bar: 202 Calories, 15g Fat, 16g Carbohydrates, 11g Sugars, 2.9g Protein.